What was different about the FA Cup semis and final? Why were Arsenal able to overcome two of the biggest Money-Down-a-Hole clubs in England: Manchester City and Chelsea? 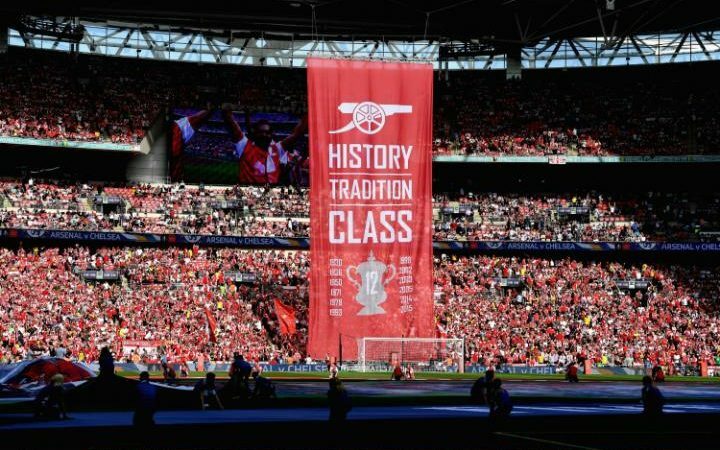 Was it the genius of Arsene Wenger, who now has hoisted the trophy more than any other man in the history of this, the longest running cup competition in all of competitive football? My thought is that, given a level playing field–in this case a neutral site to which the fans chose to make the trip after their team qualified and where expectations were–if not low–at least set aside for the day, any team can win against any other. And Arsenal did just that. Twice. For those two matches, Arsenal ceased to be a financial venture, a club striving to compete with the best (read “richest”) clubs in England and Europe but doing so without an injection of outside (read “sugar-daddy”) funds. Instead, even if it was just for a couple of sunny days towards the end of the season, Arsenal became just a football team, albeit one with very good players and a tactically savvy manager who knows how to bond his boys together and get the best from them. Give that same group a supportive environment similar to what we witnessed at Wembley and who knows what might happen? Like we did last Saturday, we might go on and get the results we need in those matches and hoist a(nother) trophy as our reward. So, why can’t Arsenal translate those sorts of results into the longer grind of a Premier League season or a Champions League campaign? Part of the answer is in the 2nd part of the title, but, if you’re daft enough that you cannot remember it, I’ll spell it out once again: it’s the support. I’m not saying that it’s all about the support. And, most certainly it’s not all about rabid and blind support. Hell, if that were true, Spurs would’ve won the league at some point over the last 50 years, including, perhaps, one of these last two. What I’m suggesting is that–in a game with tiny margins–having true support matters. That’s the effect a positive, i.e., supportive, environment can have on the players. Then there are the refs. With poor support, there is little or no referee intimidation. 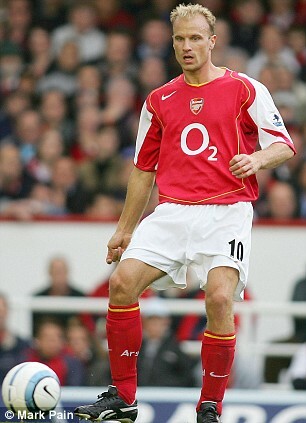 Would Anthony Taylor have given that opening goal in the cup final at Stamford Bridge (or at the Emirates, see below)? Would he have seen Victor Moses’ penalty claim as a dive? Perhaps, perhaps not. Let’s not forget his “performance” on that opening day match vs Aston Villa from 2013, played in an environment (the Emirates) that became hostile to our own players as it became apparent that we weren’t going to win it at a stroll–as the (home) support expected. When the fans bring a negative narrative into the stadium it affects the atmosphere. If the “support” are waving signs suggesting the management of the club is ineffectual, why should the cast of characters (players, refs, opponents) not be encouraged to believe that it’s true? If the fans trickle in, wait for something promising to happen (a goal or three) before they allow themselves to cheer the spectacle; or, if them come ready to hurl nothing but invective, vitriol and boos and are ready to walk out if the team struggles–then what have we got? Once again, at the risk of insulting your intelligence, I’ll tell you. It’s the perfect atmosphere for the other team to play in. These things happen at all clubs, but it seems worse at Arsene Wenger’s Arsenal, perhaps due to his long reign at the helm, his early successes which have led to high expectations and his willingness to take on much of the responsibility for the club’s successes and failures. The fans–whose ticket money, in conjunction with television and sponsorship revenues–do help carry the club and have every right to complain. I’m not arguing that point, I’m just saying that it has its effects. When you pay your money but go to the stadium with low expectations–as surely those who went to Wembley for the City and Chelsea matches must have had–a world of possibilities opens up. Arsenal beat those teams and raised the cup (for the 3rd time in 4 years). If you didn’t enjoy it, maybe because it didn’t suit your Wenger-Out narrative, well, that’s stupid too. Enjoy the football–win, lose or draw. There is football being played and it’s being played by some of the world’s best athletes. Celebrate it. Enjoy the great skill on display as well as those moments that don’t quite come off, followed by the professional (and often passionate) determination of the lads to do better the next time the ball comes their way. Watch the match, not just the scoreboard. You might even go so far as to be impressed by the opponent and note players you think might someday be worthy of wearing the red with white sleeves. Stop getting your opinions from other sources. Just because it’s splashed across the back-pages or written on the internet or coming out of the mouths of pundits–former (usually not very good) players, talk show hosts and other attention mongers of all varieties–doesn’t make it true. I know it’s not always possible to actually watch the matches. Still, you can do what you can to keep your eyes open and judge things for yourself. Walk away. It’s very easy for me to say these things from behind my keyboard and with my link to the team being my television and computer screens. Who am I to criticize (note the American spelling) when I’ve only seen Arsenal in the stadium a couple of times? Still, if you have a measure of free will–if you’re not just Sheep-le (as we say)–you still have a choice. If you truly don’t like the product being served up, give up that season ticket, stop traveling to those away matches, stop watching on the television or internet (waking up at ungodly hours, as some of us in some parts of the world have to do). Change your life–even if might require some very big changes–for the better. If Arsenal are playing well, maybe you can choose to sneak a peak, if only to confirm that they can (and probably will) let you down. Support your club–give them at least that little bit you can–and let the chips (sir chips, -perhaps…) fall where they may. Over expectation is the cause of every disappointment, it will be lost on some that in the FAC final, few expected us to win,most hoped we would play well (as for the rest well there lost causes), so it made the game and result all the more enjoyable, if you consider that you will only be satisfied winning the CL,well I’m afraid you have many,many years of disappointment ahead…….. I would rather watch the full game again than read those media reports. They are laughable. And definitely no to NewsNow. It seemed that it will be a even torturing window if you read that site. Moaning and whining all the time simply are by people incapable of processing their pains, their dashed expectations. They get suicidal, wanting to hurt the very thing they profess to love. Me thinks it’s better they smash their windscreens to let off, instead of smashing their baby. Best, of course, if they can process their pain more creatively. Why is this negative reaction worst amongst the Arsenal fans? The tragedy of man is that negative emotions tend to accumulate, evidenced for example in the high rate of broken marriages …. (Shakespeare “The evil that men do lives after them. The good is often interred with their bones”). Over his long tenure, Wenger’s perceived negatives have accumulated into an unbearable hard crust that happens to be much cheaper to smash than the windscreens. Wenger is simply a hated spouse of a long marriage. The great fans are like the couples who are reinventing their relationships all the time, not letting the negatives accumulate through bringing the positives to the fore. They live happily today in the excitment of tomorrow. Right now, I can’t wait for 17/18 season to begin, gunner as ever. HT, I like your sermon. Hi all.. Hi 17ht.. great post as always..
Conte’s Chelsea wasn’t the same as Mou’s Chelsea.. They just can play a parking bus as Mou did.. That’s why we can always have an opportunity to win with an open war games..
Our problem year to year is a Mou’s style playing.. We need a great cannon ball players. Xhaka sometime give me that hope, but He must did it more and more.. I don’t think the 100M Pogba give MU a trophy.. A free Ibra give them that, although he didn’t play in Final game.. what he give to the club is very important.. I wish to get him this season.. If only he arrive at Emirates last season.. hehehe..
MU will bring another 100M Greizman.. We have 150M to spend but Wenger will never spend that for him, or Mbappe.. not even Messi.. hahahaha.. I laugh everytime I read a news about that.. They seem still don’t know Wenger after 21 years.. hehehe.. So what more interesting is who will Wenger bring..?? Who will out..?? And Will he keep the 3-4-3 formula..?? We had already a free Sead.. another free Ibra won’t give us any worst.. hehehe..
We needed our spouse to be like long-term fans.. Caring and understanding everyday, but sometimes we have good and bad moods, so it is hard to please everyone. Once a Gooner, always a Gooner. My first time here, referred by Untold. Really love the article. Thank you. I began watching The Arsenal in 1953. Then, as it had been for many years, football fans appreciated; their team; good football; good opponents. The team was most important, good football was very close in the table of importance, with good, or sometimes great opponents, in close order. Class was greatly appreciated and always seemed to be applauded by all football fans! By the late 60’s attitudes were changing, things were getting worse. The 70’s and 80’s, and the general decline continued. money was more important, fan violence more evident, player loyalty less so. Bigger clubs, got their new “team” players ready made and bought from the lesser teams within the same division. The lower division “nursery’ clubs, and self developed home grown academy players figured less. The quick costly fix was the way to go and brought ‘success’ to the likes of Liverpool and, later, MU. The modern game is now measured very much in terms of money, and spend, and, of course is international. Soon to be global with the emerging interest from the far east and China. Value is secondary, what does it matter when money is no object? Multi millionaire managers; players; agents; without the faintest idea of the meaning of the term “loyalty”. Can it get any more meaningless? YES! Welcome James and Lanz. Superb comment, James. A typically superb Seventeenho post! Cheers. an essay on the importance and lack of united support at Arsenal. Everyone should read it. All agreed my friend.